It’s the most wonderful time of the year: merry and bright, chestnuts roasting, and jingle bells! But, let’s be honest, it’s also super stressful and so crazy expensive. Of course, we love being generous this time of year. But we also love being able to pay our bills after the tree hits the curb or goes back in the box, right? To help you stay within a reasonable budget, we’ve assembled a list of some of our 10 favorite gifts under $25. You’re probably going to give someone a pair of socks for Christmas anyway, so consider picking up a pair from Fair Trade Winds. Through their partnership with Action Against Hunger, these super-cute socks provide three therapeutic food packs for malnourished kids. This triple-insulated, stainless steel, stemless wine glass is perfect for hot or cold beverages. Available in multiple colors, this is one of Oprah’s favorite things for 2017—so you know it’ll be a winner! For the book-lover in your life, check out this scratch-off poster. As your friend or family member reads a book, they’ll scratch off the title to reveal literary artwork. High-brow and interactive! What a deal! Remember those vultures from the Jungle Book that could never decide what to do? If you have a friend or family member like that, Do Something Dice is the perfect gift. Each die offers six suggestions in four categories: eating, sightseeing, exercise, and nightlife. You’ll never hear, “I dunno. What do you wanna do?” again. Available in four flavors—mixed berry, lemon lime, orange, and original—pureLYFT clean caffeine is a thoughtful gift for college students, busy parents, and on-the-go business executives. Energize anything! In this card game, players combine silly accents with even sillier phrases to create sayings that are just plain ridiculous. If you’re looking for a way to avoid post-Christmas-dinner political arguments, wrap this one up! 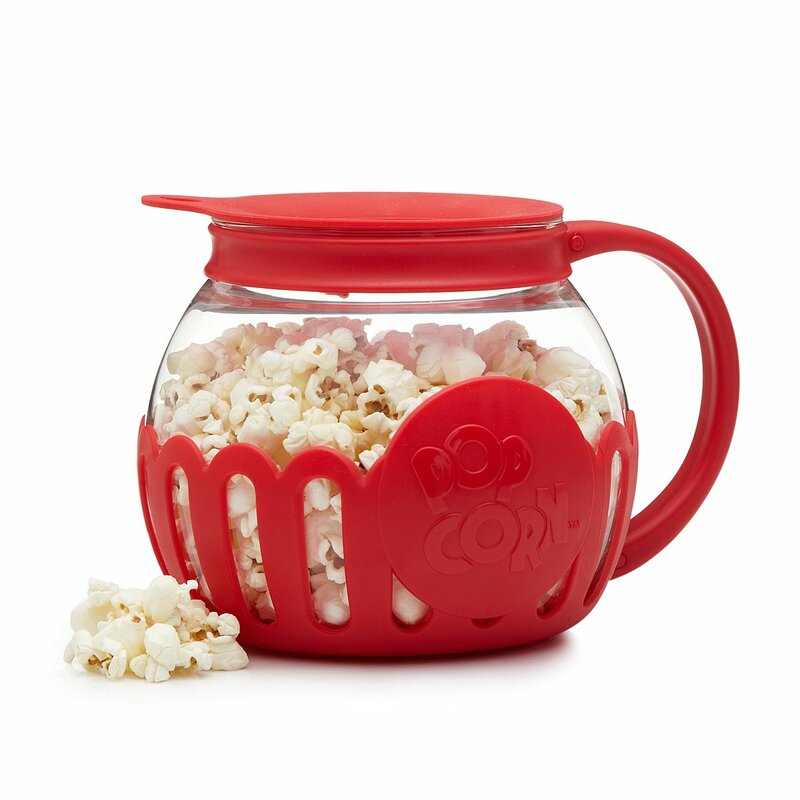 For your health-conscious friends, this microwave popcorn popper will be a sure hit. It’s dishwasher-safe and requires no oils. Pair it with some gourmet popcorn kernels for a complete gift. The Little Market is a nonprofit organization founded by women to empower women. Their beaded, handcrafted wrap bracelet supports economic initiatives in rural Guatemalan communities. This would make a thoughtful gift for the do-gooder women in your life! If you’re tired of giving stuff and would rather give an experience, options are endless. Check out behind-the-scenes opportunities at a local zoo or museum. Buy movie tickets and wrap them up with a big box of candy. Create a “choose-your-own adventure” plan for your loved one, and block that day on the calendar for the both of you. Find a cooking class you can take together at a local gourmet supermarket. By spending some time getting creative, you’ll give a meaningful gift and create lifelong memories. Get more ideas here. Exhausted from all that shopping? Get a boost with all-natural pureLYFT.